It's awfully windy up here and we're holding on to dear life. When combing the sights in Batanes, you inevitably find the grand Mahatao lighthouse, perched on the edge of an ocean bluff, overlooking the hills of Vayang and of its rugged coast. The lighthouse is on my left. Between it and a ramshackle hut is a narrow corridor that channels the wind's fury through these reed fields. Flexible stalks flap violently with each oncoming gust, offering parallel and valuable lessons how to survive in life. Those who learn to bend won't ever break. Grandpa Darwin believed it's the fittest and most adaptable that eventually survive. Not the fastest nor the prettiest, not the richest nor the smartest, but those who pull themselves up every time. Now we know why we're all still here! Enjoy. Where in the world is Batanes? 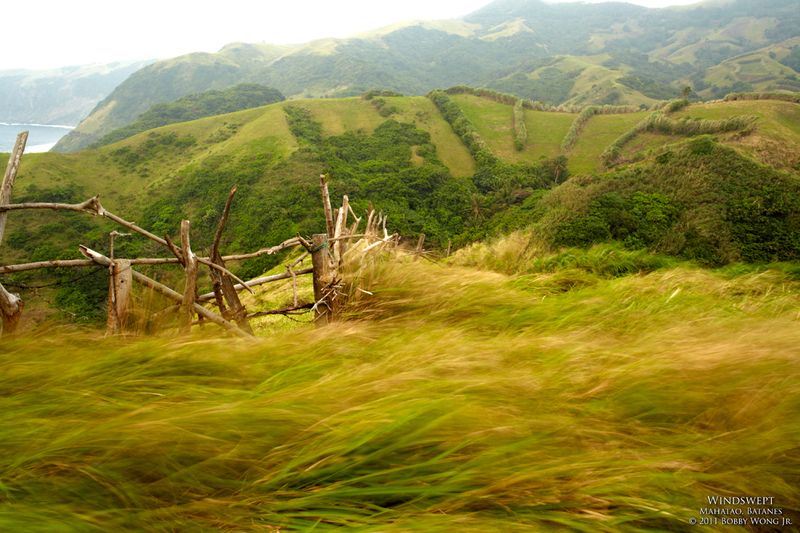 Batanes is such a sight! Now only if it was easy to get there. Interestingly, your exif shows f/1.8. Peter, part of the reason for its pristine state is due to its relatively inaccessibility! This is one of the most beautiful landscapes I've (n)ever seen.